We understand very little about the billions of dollars that flow throughout the world from migrants back to their home countries. In this rigorous and illuminating work, Matt Bakker, an economic sociologist, examines how these migrant remittances—the resources of some of the world’s least affluent people—have come to be seen in recent years as a fundamental contributor to development in the migrant?sending states of the global south. 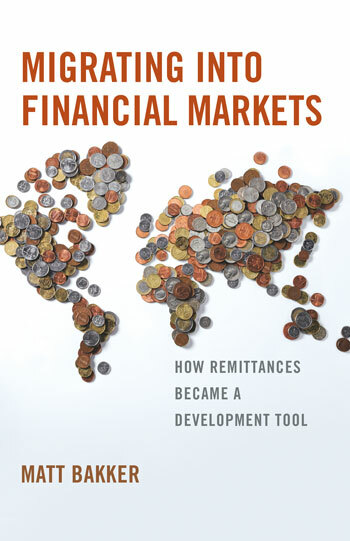 This book analyzes how the connection between remittances and development was forged through the concrete political and intellectual practices of policy entrepreneurs within a variety of institutional settings, from national government agencies and international development organizations to nongovernmental policy foundations and think tanks. MATT BAKKER is Assistant Professor of Sociology at Marymount University.